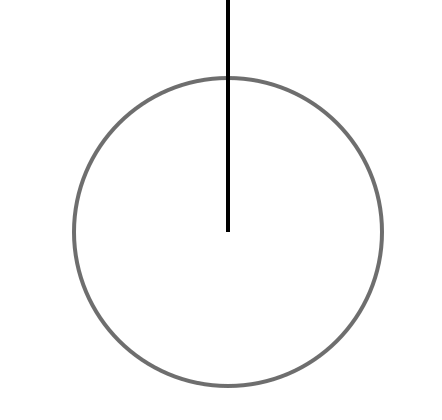 I created a straight line using the freehand line tool, and then from the end of the line, using the snap-to-node feature, I created a circle using the ellipsis tool. This means the center of the circle is exactly the end of the line. I now want to create a node at the intersection of the line and the circle, so that I can start drawing more lines starting exactly from that intersection point. Is it possible to dynamically create a node through intersected lines? This doesn't need to be specific to circles and lines. I'm also wondering if I have two intersecting lines drawn by the freehand line tool, how can I break them apart so that each intersection point becomes a node? Draw the circle, and the line. Move the line over the circle until the Cusp Node for the centre shows, and drop it there. Select the line with the Nodes tool. Double click it to add a node. To break apart a path at a node, select the node with the Nodes tool, and hit the Break Path at Selected Nodes icon in the toolbar along the top.